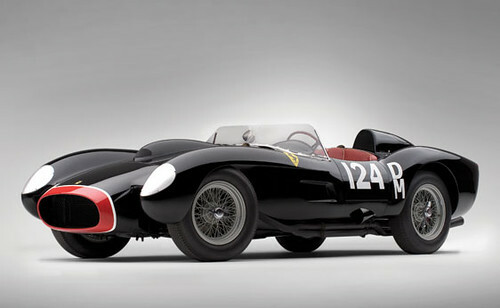 One of only twenty one Ferrari 250 Testa Rossa with the Scaglietti designed pontoon fender body. That makes it rarer than the thirtysix 250 GTO's made. Add the unique black and red paint and great history and you have an unmatched rolling work of art. Another stunning Ferrari, a 1967 330 P4, did not make the reserve at a reported 7.2M Euros. 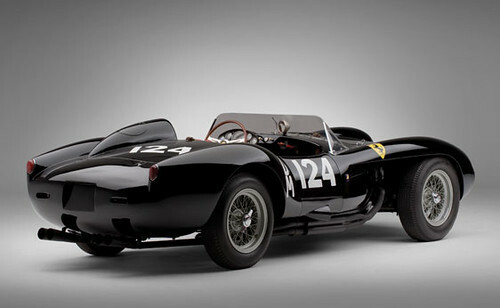 MARANELLO, Italy, May 17 /PRNewswire/ -- RM Auctions, in association with Sotheby's made history at the Ferrari factory in Maranello today as a 1957 Ferrari 250 TR, chassis no. 0714TR sold for euro 9,020,000 at the third-annual Ferrari Leggenda e Passione event to set a new world record for the most expensive motor car ever to be sold at auction. Returning to its Maranello birthplace for its auction debut, the euro 9,020,000 sale price represents euro 1,980,000 more than the previous auction world record which was set at the same sale last year. "The historical significance of this car attracted a bidding war as collectors from around the world - both in the room and on the telephone - competed to secure one of the most alluring and iconic of all Ferrari racing cars," said Max Girardo, Managing Director of RM Europe. "The eyes of the world were watching today's sale as cars of this quality are so rarely offered to the market. The rarity and the provenance of the Testa Rossa speaks for itself and the price we achieved today is testament to that. 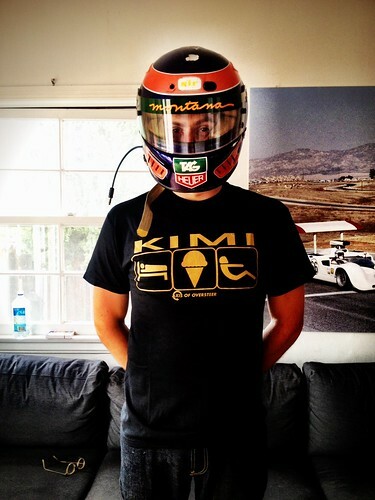 We are delighted with the result the car achieved today," he added. Enzo Ferrari’s telling insight on his views of motor racing. In 1957 the Commissione Sportiva Internationale (CSI) had been contemplating new rules to make sports car racing safer after the disaster at Le Mans in 1955 and Alfonso de Portago’s crash in the 1957 Mille Miglia, in which he and his co-driver, along with nine spectators were killed. Despite this appalling accident, Ferrari went on to take The Sports Car Championship at the final round at Caracas. 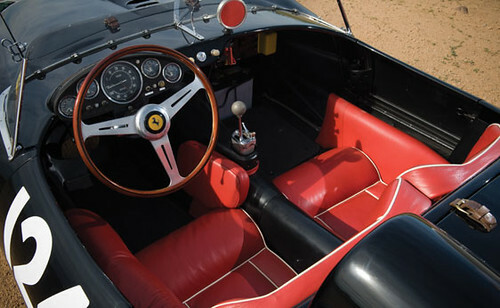 The team had begun the year with the 3.8-litre 315 S, which was later developed into the 4.0-litre 335 S. Ferrari’s mind was already on his next creation – which would be one of his finest. Anticipating a reduction in capacity for sports cars by the CSI for the 1958 season, Ferrari began working on a car powered by the 2,953 cc, 250 GT, V-12 engine. Ferrari first used the name Testarossa on the four-cylinder 500 TR. The name “red head” was used because the car’s cam covers were painted red. 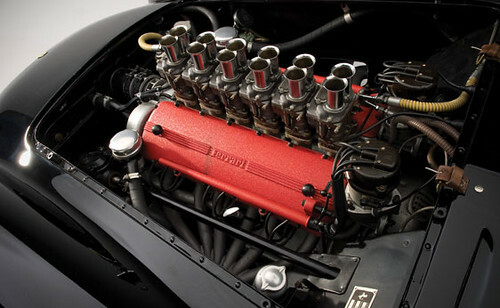 The new V-12 car, developed under Carlo Chiti’s engineering team, was intended by Enzo Ferrari as a more powerful version of the four-cylinder car retaining similar handling characteristics and tremendous reliability. This robustness had been proven on the 250 GT unit with a single overhead camshaft. Chiti revised the cylinder head design, fitted high compression pistons, special conrods and six Weber twin choke carburettors. The first prototype, chassis number 0666, fitted with an envelope body similar to the 290 MM, appeared at the Nürburgring in 1957 and was tried by all the Ferrari works drivers. Olivier Gendebien set the sixth fastest time, no small feat against the more powerful Aston Martins and sister Ferrari team cars. The car finished a disappointing tenth, driven by Masten Gregory and Olindo Morolli who was given the drive at the last minute and was somewhat out of his depth. At Le Mans in June 1957 both prototypes suffered problems with new pistons. 0666 failed to start and 0704 retired, having run as high as second place. In Venezuela, during the final round of the championship, its potential was finally proven. Wolfgang von Trips and Wolfgang Seidel finished third in 0666 with Maurice Trintignant and Gendebien in fourth with 0704. 1958 would prove to be the 250 Testarossa’s absolute pinnacle. The factory cars won four of the six races to secure Ferrari’s third consecutive World Sports Car Championship for Constructors. Phil Hill and Peter Collins won in Argentina and again at the Sebring 12-Hours. Victory at the Targa Florio was taken by Luigi Musso and Gendebien and the 24 Hours of Le Mans was won by Gendebien and Hill. For 1959 the Testarossa’s bodywork was redesigned by Pinin Farina and built by Fantuzzi, Scaglietti having been sidelined by the increased output of Ferrari road cars. While the TR59 of Dan Gurney, Chuck Daigh, Hill and Gendebien took victory at Sebring in March there were to be no further wins and Ferrari finished second to Aston Martin in the Championship. In 1960 Testarossas won at Argentina (Hill/Gendebien) and Le Mans (Gendebien/Paul Frere) and took the Championship once again. Although the 330 TRI/LM would win at Le Mans in 1962 with Hill and Gendebien, 1961 was really the car’s swansong as a works entered car. Hill and Gendebien won at Sebring and Le Mans and Lorenzo Bandini and Giorgio Scarlatti won at Pescaro in the TR61 prototype. Only 34 250 Testarossas were ever built, although this figure is debatable, as it also includes both prototypes as well as the 330 TRI/LM. Some were manufactured purely as customer cars. Many of these would continue racing for years to come, often with great success in national and international competition. The car presented here, 0714, is the fourth Ferrari 250 Testarossa built and the second customer car. Finished in white, it was sold new to Piero Drogo who was then living in Modena. Although born in Vignale Monferrato, a small town near Alessandria in Piedmont, the Drogo family emigrated to Venezuela. Drogo raced extensively on the South American continent in sports cars and saloons. He finished seventh in the 1956 Venezuelan Grand Prix and later returned to Italy where he worked as a mechanic for Stanguellini in Modena. In 1960 he drove a Cooper Climax in the Italian Grand Prix at Monza, finishing eighth. In the early sixties he started Carrozzeria Sports Cars. They produced bodies for the stunning P3 and P4 Ferraris and the square-backed car which became affectionately known as the “Breadvan”. Ferrari 250 Testarossa chassis number 0714 was immediately modified by Drogo after he bought it. He added air scoops underneath the doors to help cool the rear brakes. His first race in the car was the 1958 1000 Kilometres at Buenos Aires, Argentina. The car was shipped to South America along with a factory car, ready for competition. Drogo had a trouble-free race in 0714 finishing a highly credible fourth overall with co-driver Sergio Gonzalez. Drogo’s next race in this TR was at the infamous 1958 Cuban Grand Prix in Havana. Juan Manuel Fangio had been kidnapped by Fidel Castro’s revolutionaries and the race was marred by a terrible accident. The event was abandoned amidst chaos and Drogo was classified 13th. 0714 was shipped back to Europe and competed in some minor events before being rebuilt and eventually repainted red. Drogo raced the car for the last time at the XII Circuito Internacional Vila Real in Portugal. 0714 was then sold via Luigi Chinetti to Alan Connell of Fort Worth, Texas in November 1958. Piero Drogo was later killed driving his 365 GTC Coupé in 1973. He ran into the back of a truck that had broken down in an unlit tunnel near Bologna. He was 46 years old. In 1959, prior to campaigning 0714, Connell had the car painted black with a very distinctive red nose, in the same style as his Maserati 250S. 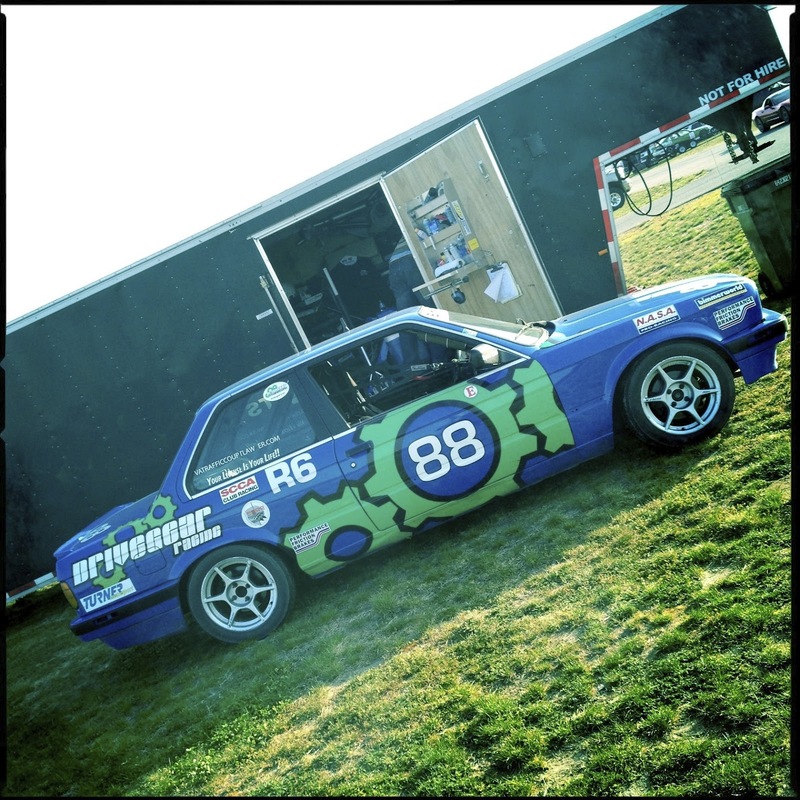 Connell raced 0714 extensively across the United States in SCCA National events. At the Pensacola National he was third overall and second in class. 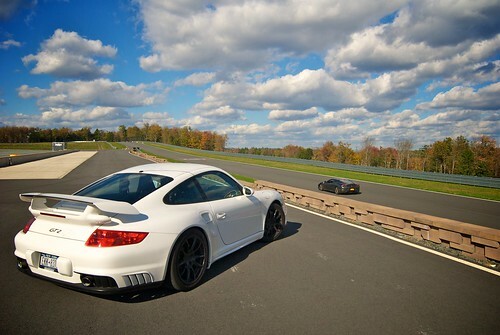 Fourth overall and second in class at Virginia International Raceway. Tenth and second in class at Cumberland and at Bridgehampton was seventh and took his first class victory. Another class victory was achieved at the next race at Elkhart Lake, with fifth overall. Buckley, Colorado saw a fourth and second in class, a result repeated at Riverside. At the Riverside Kiwanis GP he was eighth and fourth in class and he finished fourth overall and first in class at Montgomery. Connell easily won the Class D Modified title in 1959 and he often raced the Testarossa at Regional events. He was a very capable driver and took an outright victory at Mansfield, Louisiana. Eventually this fabulous Testarossa was returned to Chinetti’s in New York. The car was rebuilt and sold to Washington, D.C. resident Charlie Hayes. Hayes dropped a valve at the Thompson National in 1960 but finished second in a Regional at Vineland, New Jersey and fifth at Marlboro, Maryland. Hayes had the car repainted white at the end of the season and sold it to Carl Haas in Chicago. It was then purchased by Wayne Burnett who repainted the car red. Burnett was a journeyman driver and while he competed in nine National events during the 1961/62 seasons his best finish was sixth at the Meadowdale National in 1962. He fared better in the Regionals finishing second at Wilmot Hills, second at Minneapolis, an outright win at Lawrenceville, Illinois, and a third back at Wilmot Hills. In 1962, the original engine 0714 was removed and the dry sump unit from 0770 TR was installed. Disc brakes were added as well as a clear TR59 type carburettor cover. Burnett raced the car six times in 1963, finishing eighth at Elkhart Lake and with Luke Stear co-driving, 12th in the 500-mile race at the same circuit. The car was eventually acquired by Robert Dusek of Solebury, Pennsylvania in 1970 and was restored back to its original specification and colour, reunited with engine 0714. In 1977 the Testarossa was shown by Dusek at the 14th Annual Ferrari Club of America National meeting at Watkins Glen. In August 1984 Ferrari 250 Testarossa 0714 was sold to Yoshijuko Hayashi in Japan and in January 1995 was acquired by Yoshiho Matsuda from Tokyo. The same year Matsuda showed the car at Suzuka at the Forza Ferrari meeting. Partnered by Oyaizu, this car competed in the Mille Miglia in 1995 and 1996. Matsuda also drove it at the Monterey historic races at Laguna Seca in 1996. In 1998 the car was back in action at the Neko Historic Automobile Event at Honda’s Twin Ring Motegi Circuit. It competed again the following year. Also in 1999, 0714 was at the tenth anniversary meeting of the Ferrari Club of Japan at Suzuka. In 2004 the car was shown at The Quail in Carmel Valley and displayed at the Ferrari Club of America Laguna Seca track event. More recently 0714 has benefitted from a re-spray back to black and red – the same livery in which the car competed in so many races in the 1950s and 1960s. 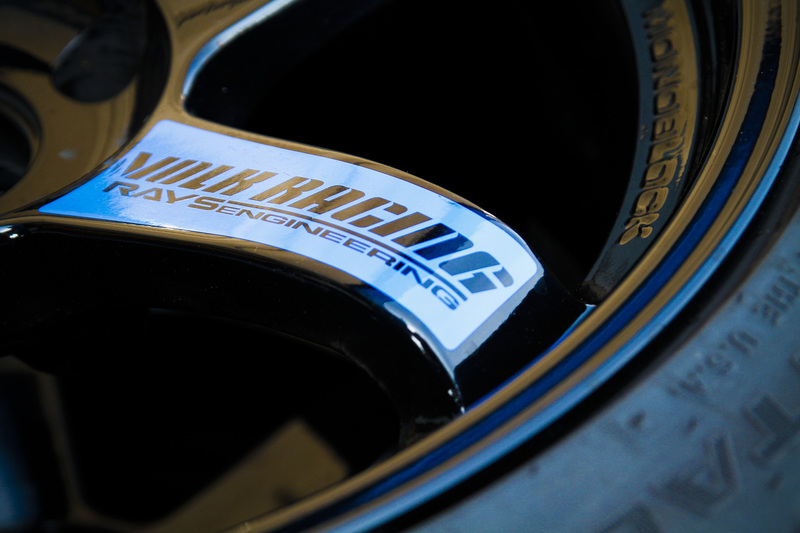 Furthermore, the car has been overhauled by marque specialists ensuring that it is ready to be enjoyed on rallies or track events in America and Europe. RM Auctions has had the pleasure of test driving 0714 and confirms that the car performed beautifully. 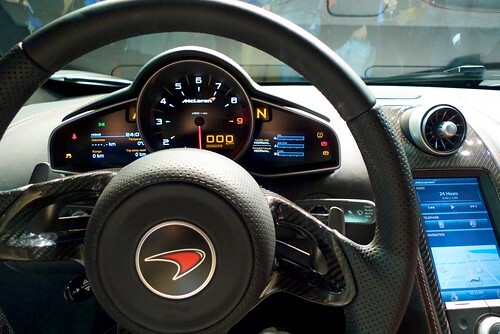 The steering is light and the throttle response is immediate, giving the driver the feeling that the 12-cylinder engine is more than willing to power through the revs to the 8000 rpm redline. The symphony of the powerplant matched with the growl from the megaphone exhausts will make any enthusiast’s hair stand on end. The reverse lock-out, four-speed all-synchromesh gearbox is very precise and confidence inspiring. Easier to drive than a Ferrari 250 GTO and perhaps much more rewarding thanks to its more favourable power to weight ratio, 0714 is a truly fantastic racing car. Not only is the performance breathtaking, but the view over the bonnet when driving is simply one of the best in the world. It is the fourth of about 34 cars produced and the second customer car built. Moreover, it is one of only 21 cars to feature the desirable pontoon fenders and as such is considerably rarer than the famed 250 GTO, of which 36 examples were built. With its Scaglietti bodywork, 0714 is truly stunning – like a great sculpture it begs to be touched. 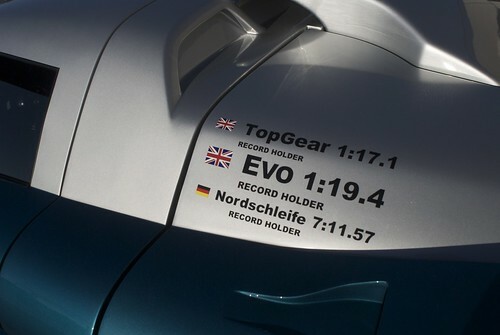 Its incredible racing history puts the car far beyond most other 250 Testarossas, if such a thing can be said. This car would be welcomed with open arms to all the great historic race meetings and events around the globe. As these cars rarely come to market, the Testarossa is one of the most coveted in the marque’s history. With breathtaking looks, fantastic performance and handling, this is a true connoisseur’s Ferrari.